Adorable shoes, cozy coats, and so many more pieces you'll only be able to find at the best store in the world — Nordstrom. 1. A pair of block heel BP. booties that were the inspiration behind "These Boots Are Made for Walkin." 2. A super-practical Halogen hooded jacket you'll be able to layer, wear alone, or pack away for whatever unpredictable weather awaits. 3. A pair of high-waisted Zella leggings, because comfy leggings are a way of life — and you love living that life. 4. A six-pack of gold-tone plated BP. 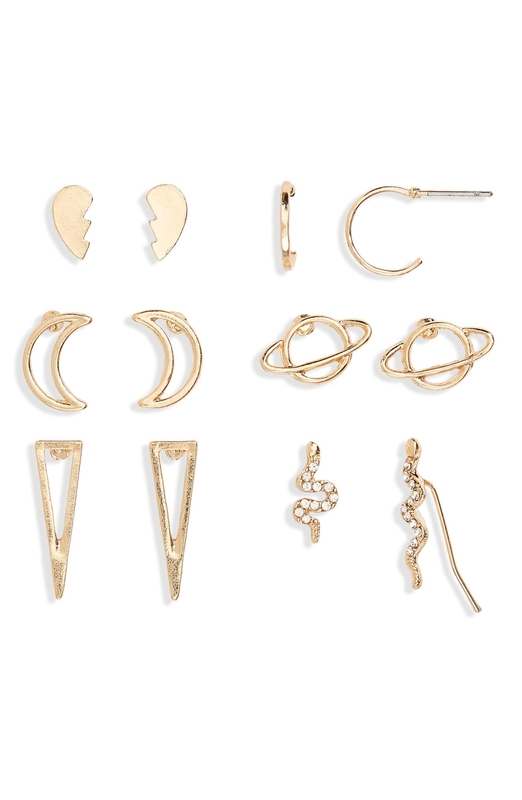 earrings that are just out of this world. 5. A rushed Treasure & Bond body-con midi dress you'll throw on all. the. damn. time. 6. A swinging pleated Halogen midi skirt so pretty, everyone you walk by will ask you where you got it. 7. A pair of bright red leather loafers to add that pop of color your favorite jeans need. 8. A faux shearling BP. triangle bag cozy enough to cuddle up with but big enough to carry everything you need. 9. An adorable polka-dot 1901 swing coat to take you from fall to winter in serious style. 10. A cozy linen-blend Halogen cardigan for all those days when your office feels more like the Arctic tundra than a workplace. 11. A pair of lacy high-waisted undies, because when was the last time you updated your underwear drawer? 12. A playful pair of 1901 mules to help bring a little fun to your regular all-black uniform. 13. A cotton plaid BP. duster coat with a comfy cocoon shape and a classic notch collar. 14. A cozy reversible BP. scarf, because sometimes you feel like some plaid and sometimes you don't. 15. A relaxing fleece floral-print Caslon dress to throw on when you have a million errands to run. 16. A pair of rib-knit BP. sock sneakers, because they're all the rage right now — and they're comfy AF so you should probably get on that trend train. 17. A pair of geometric BP. 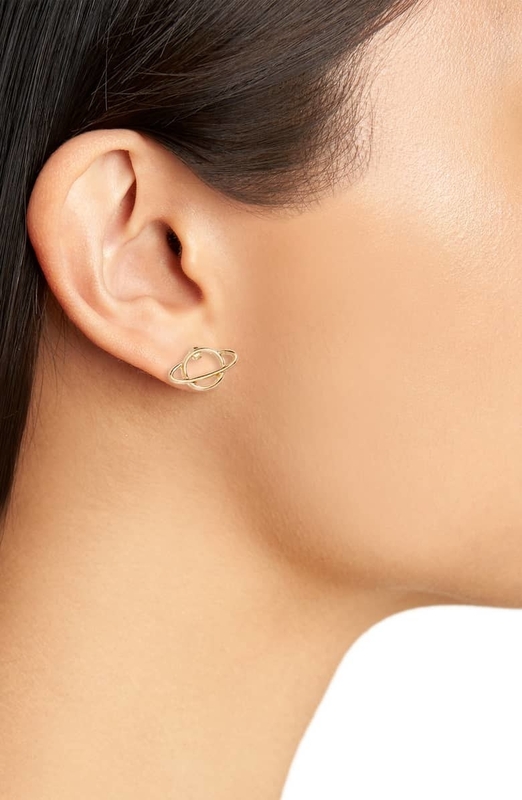 statement earrings so your ears can finally get invited to the style party. 18. An oversized-collar Zella jacket designed in an ultra-soft cotton blend to help keep you warm after a workout — or during a do-nothing-out. 19. An off-the-shoulder ribbed Treasure & Bond sweater, because a regular ol' sweater just isn't as fun! Price: $69 (available in sizes XXS-XXL and in cream and pink). 20. A peplum knit Caslon jacket designed in the softest material your skin will ever feel! 21. A leopard print BP. clutch that'll be a staple for all your nights on the town. 22. And a pair of white leather pointy-toe Halogen booties, because white booties are SO freakin' cute with a flowy dress! Trust me on this!